Pain management can be a daunting task. 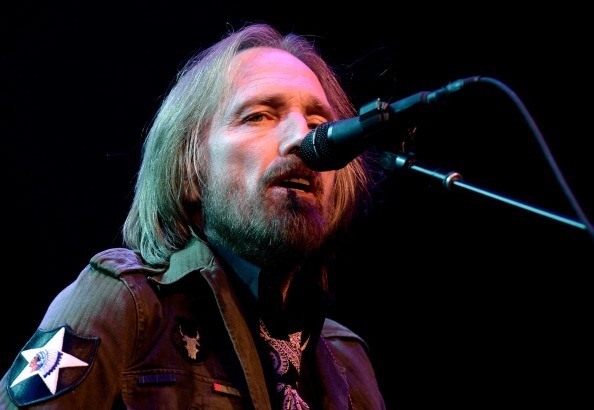 If you are a Tom Petty fan, you had to be saddened by his recent death in October, 2017 from his unsuccessful attempt at managing his pain with opioids. He was just 66-years-old. The statement from Petty’s wife and daughter said, “[d]espite this painful injury, he insisted on keeping his commitment to his fans and he toured for 53 dates with a fractured hip and, as he did, it worsened to a more serious injury." He died from an accidental drug overdose from several medications. The autopsy, released a few days ago on January 19, 2018 stated the drugs found in Petty’s system were Fentanyl, Oxycodone, Acetyl fentanyl and Despropionyl fentanyl, which are opioids; Temazepam and Alprazolam, which are sedatives; and Citalopram, an antidepressant. His family also said that part of Petty’s pain treatment involved Fentanyl patches. The Center for Disease Control and Prevention (CDC) reports that Fentanyl is about 50 to 100 times stronger than morphine. Fentanyl patches may cause serious or life-threatening breathing problems, especially during the first 24 to 72 hours of your treatment and any time your dose is increased. Anyone who uses these patches must be closely monitored by a doctor. Petty's daughter recently said she hopes his death can bring more awareness to the opioid crisis. Opioid related deaths are becoming way too familiar. I’m still trying to recover from the death of music icon Prince, who in April of 2016 died of an accidental Fentanyl overdose. And just last year, 21-year-old rapper Lil Peep reportedly died of an accidental drug overdose of Fentanyl and Xanax. And it’s not just musicians and celebrities who are affected by the opioid crisis. Opioid abuse is a serious public health issue. Reportedly, opioid related deaths were five times higher in 2016 than in 1999 and sales of prescription opioids quadrupled during that same period. From 1999 to 2016, more than 200,000 people in the U.S. died from overdoses related to prescription opioids. To give you a bit more perspective about the gravity of the opioid crisis, check out these 2016 statistics from The Department of Health and Human Services. 116 people died every day from opioid-related drug overdose. 11.5 million people misused prescription opioids. 42,249 people died from overdosing on opioids. 2.1 million people misused prescription opioids for the first time. Opioid epidemic cost 504 billion in economic costs. So we clearly need to review our pain management system and identify credible and alternative methods to address this critical issue. And Dr. Robert Bonakdar, who specializes in pain management and integrative medicine, has identified nutrition as a very effective method to manage pain. "When we think of pain, we think of pills. That's been it," Dr. Bonakdar said. And he has crafted what, in my opinion, is a very credible argument that our diets may increase or decrease our pain. Many foods in the Western diet are high-glycemic-index and inflammatory foods, like red meat, dairy products and processed and artificially sweetened foods. These foods may increase any pain you may have. And not only do you have to be mindful about what you eat, but also about how much you eat and how you are eating it. "How much you're putting on your plate, how you're preparing that food, and how quickly you're eating it, all informs the occurrence of inflammation," Bonakdar said. This even holds true for foods that are relatively healthy. For example, whole grains are a pretty healthy food, however, you have to practice moderation. Excess grains may cause inflammation, especially in people who have a sensitivity. And you never want to overcook foods, as they may lose some of their nutritional value. So what exactly should you be eating to manage pain? In order to help prevent inflammation and pain, you want to eat a diet rich in a variety of fruits and vegetables. I have highlighted many plant based foods on this site. These foods are likely to decrease pain because of their antioxidant and anti-inflammatory properties as well as their high content of essential vitamins and minerals. Magnesium. According to the discussion with Bonakdar, magnesium is an important example of the pain-related impact of nutrients. About 70% of the population has a magnesium deficiency, and about 20% of the population "are not even getting half of the daily requirement," said Dr Bonakdar. Deficiency is defined as a serum level of less than 0.75 mmol/L. There's a "very strong" association between lack of magnesium and migraine, said Bonakdar. "The odds of migraine go up by 35-fold if you have a magnesium deficiency." Magnesium may also help with muscle cramps. For patients with a magnesium deficiency, he recommends over-the-counter chelated formulations of magnesium, which are more bioavailable than magnesium oxide or magnesium sulfate. Food sources of magnesium include almonds, cashews, spinach, black beans, brown rice, avocado, yogurt, bananas, oatmeal and chicken breast. Potassium. Like magnesium, potassium can also help with muscle cramps. When you sweat you lose electrolytes, including sodium and potassium, and the loss of potassium can cause cramping. Foods rich in potassium include figs, dried fruits (prunes and dates), nuts, avocados, bran cereals, lima beans, broccoli, peas, tomatoes, potatoes (especially their skins), sweet potatoes, winter squash, citrus fruits, cantaloupe, bananas and kiwi. And here’s a tip: dried apricots contain more potassium than fresh apricots. Milk and yogurt are also good sources of potassium. If you are a meat and/or seafood eater, red meat, chicken and fish are also rich in this mineral. Sodium. Researchers have recently established that some genetic mutations in sodium channels (the pathway by which the cells exchange sodium across the cell membranes) can cause pain syndromes. Most of us do not have a sodium deficiency and some of us may need to watch our salt intake, but it is important to have a good balance of both sodium and potassium in your body. Zinc. This mineral also has some promise in pain treatment. We know that it works powerfully on neurotransmitters -- in the lab, zinc molecules influence the transmission of pain. Pharmacologists who wrote an article on zinc and pain are calling for zinc to be a supplement that goes with every prescription of Percocet, Vicodin and Norco. Animal studies also suggest that zinc could help prevent opioid withdrawal and addiction. Foods with zinc include lamb, pumpkin seeds, grass fed beef, mushrooms, chickpeas, spinach and chicken. Copper. This mineral may help with pain and anxiety, according to studies on mice. Copper is also an antioxidant and crucial for using iron in the body. Dietary sources of copper include organ meats, shellfish, nuts, seeds, wheat-bran cereals and whole grain products. Vitamin C. Having an adequate intake of this vitamin is very important, especially for older people. A deficiency of vitamin C may cause joint pain, inflammation of the gums and poor wound healing. Foods rich in vitamin C include citrus fruits, like oranges and grapefruit. Bell peppers are also a great source of this vitamin. Vitamin D. At least 70% to 80% of pain patients have a vitamin D deficiency, which can make nerves "hypersensitive," according to Dr. Bonakdar. Food sources of this vitamin include salmon, swiss cheese, eggs, mushrooms, fortified orange juice and cereals and milk. Omega-3 fatty acids. Dr. Bonakdar says this is another important nutrient when it comes to pain prevention, and it may also help in cognitive functioning. To learn more about omega-3 fatty acids and what foods contain this nutrient, click here. Coenzyme Q10. Coenzyme Q10 is a natural antioxidant that may help with pain reduction. A study in adolescents with migraines and a deficiency in this antioxidant who took it in supplement form had reduced headache frequency. Read here to learn more about this antioxidant and which foods contain it. Getting adequate amounts of fiber may also be very important for pain management. And don’t forget to spice up your life. Herbs and spices, like cumin and thyme, have anti-inflammatory properties and may even help combat pain associated with conditions such as arthritis. What else can you do to manage pain? The discussion with Bonakdar suggests that combining an anti-inflammatory diet with some physical activity might boost the impact on pain even more. An 18-month study in patients with osteoarthritis who had weight issues — the IDEA trial — found that "diet was helpful, exercise was helpful, but the combination was the most helpful," said Dr Bonakdar. You can’t have a bad diet and workout or have a great diet and lead a mainly sedentary lifestyle. If you want to keep the pain away, it is suggested that you to do both. Finally, avoid nutritional deficiencies that might contribute to pain by getting a comprehensive nutrient test to determine whether you have any nutrient deficiencies or imbalances. If you do, you may have to tweak your diet, take good quality supplements or even consider the use of liposomal technology. It is also important that you are aware of any medications you are taking (both prescription and over-the-counter), as these may deplete vital nutrients from your body as well.